I remember my very first paycheck I ever received in my life, the first thing I did was buy a Nokia cell phone. You know, the one that had the "Snake" game on it, interchangeable buttons & faces, an antenna you had to pull up to get good service, and T9 texting. If you don't know about this phone, I feel bad for you son. I still, to the day, think it was the greatest phone ever made. The second thing I did with that paycheck, was went straight to the nail salon, Paris Nails in Smyrna to be exact, and got a full set of acrylic "fake" nails with airbrush letters, hearts, and even bedazzled them with rhinestones. It looked like Valentine's Day threw up on my hands. I added absolutely every extra you could possibly get, because let's face it, I made $5.15 an hour and I was feeling super rich. I literally spent every penny I had to my name on those two things, but I sure was happy. I was fourteen years old at the time, it's fifteen and a half years later and I've never stopped getting my nails done since, until a month ago. I have several reasons I stopped getting them done, but the main reason is my new budget. As many of you may know from my "Changes" blog, I recently quit a job that made me miserable. The downside of that was that working there paid me really good money, so I knew immediately I was going to have to make a few lifestyle changes. I never thought a single thing about spending money every 3 weeks to have my nails and toes done, but when you add it up, it sure is expensive. The first thing I did after quitting my job, was to take off my fake nails. I had to think of some things I could live without, and they definitely made the list. 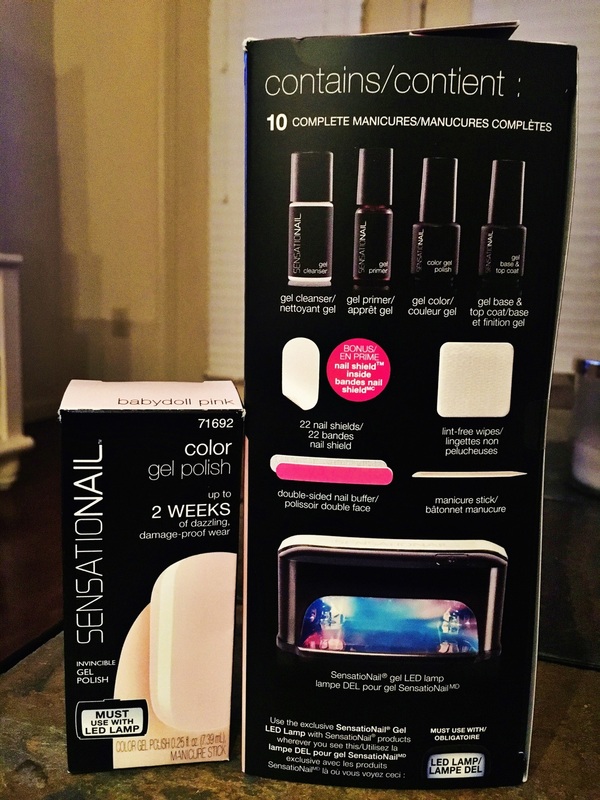 This brings me to the moral of this story...I have GOT to tell y'all about this amazing creation I bought today the "SensatioNail Starter Kit" . I first heard about the SensatioNail a few weeks ago, ya know, the day after I took my nails off. I had a friend over who lives right down the street from me. Her nails looked pretty, so naturally I asked where she got them done at, that's what us girls do. I have yet to find a good nail place close to where I live (another one of of those reasons). She told me she did them herself with an at home gel nails kit. I don't want to say I didn't believe her, but it was hard to seeing how good they looked! 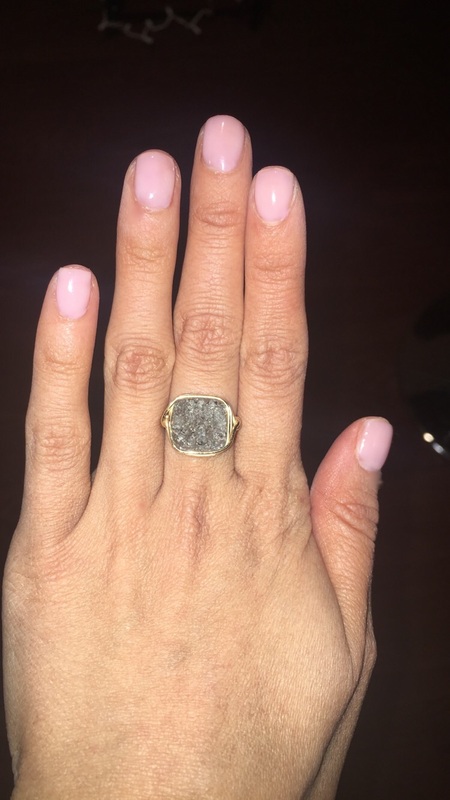 They looked exactly like they would as if she got shellac or any type of gel nails done at a salon. I waited until my ugly, and super brittle, nails healed from being peeled and broken off, and I'm a 100% satisfied customer! If I were to go to a salon, which requires lots of time and possibly even a wait (another one of those reasons), and got gel nails, I would spend about 30-35 dollars plus a tip. This kit was only $24.88 at Walmart and the extra color of nail polish I got was $7.88. It looks like Target online has them for $24.99 and the extra nail polish for just $5.49. I know they are also sold at Walgreens all over the place, but their website tells me their starter kit is $59.99, so I would definitely recommend Target or Walmart. The kit alone has enough supplies to do a complete gel manicure 10 times, so you do the math on that. I'm all about some savings! The SensatioNail starter kit comes with everything you need to do your nails from the beauty of your own home, on your own time and wearing whatever the heck you want (which I love). 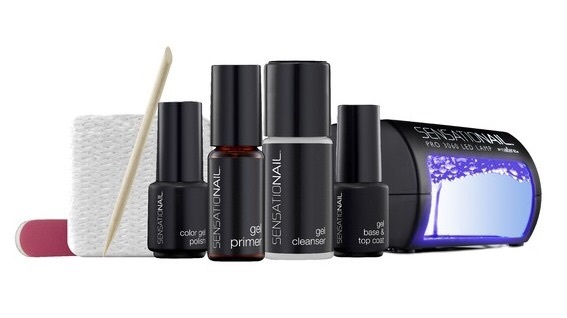 It includes the gel LED lamp light, primer, base and top coat, polish color, cleanser, nail shields, manicure stick , wipes, and a double sided nail buffer. If you don't like the color your starter kit comes with, they have a whole collection of colors you can choose from. I'm seriously so happy I found this product! 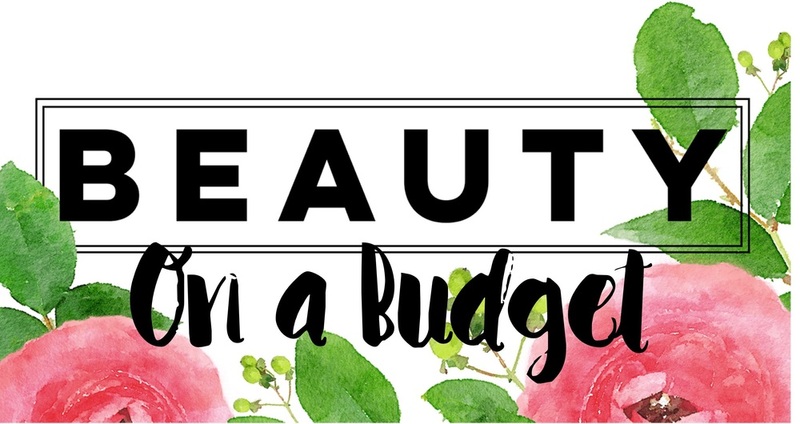 If you're "ballin' on a budget" like me, or just want to be smart and save some money, you will be happy you found it too! PS: head over to @NativeInNashville on Instagram for an adorable "Nashville" necklace giveaway! !